You'll be £19.99 closer to your next £10.00 credit when you purchase The Ironclads of Cambrai. What's this? When tanks, the newly invented British weapon, were used for the first time in a mass attack on November 20 1917, they not only achieved one of the most remarkable successes of the First World War but set the pattern for the future of mechanised warfare. For the first time in three years of bloody trench warfare, epitomised by the slaughter at Passchendaele which was then reaching its climax, tanks brought about a breakthrough of the massive German defence system of the Hindenburg Line, followed up by British infantry and cavalry divisions. They were supported for the first time by low flying fighter aircraft of the Royal Flying Corps. The initial victory at Cambrai brought cheering crowds into the streets of London and the ringing of church bells in celebration. In seemed possible that the success might bring about the final defeat of Germany. But the British High Command failed to exploit the success. Generals who still dreamt of massive cavalry charges had not had much faith in this strange new weapon that had been brought to them – funded initially by the Royal Navy at the behest of Winston Churchill who was then First Lord of the Admiralty and did see its value. The High Command did not really believe the breakthrough was possible and tragically miscalculated the necessary steps to follow it up. Within days the Germans counter-attacked and regained much of the ground that the British had won. What could have been the final victory was delayed for another year. This is a marvellous hardback, well-presented version of a classical book original published in 1967. HIghly recommended. than for new insights. Historians today would see tanks as a key part of the all-arms-battle rather than a war-winning weapon. 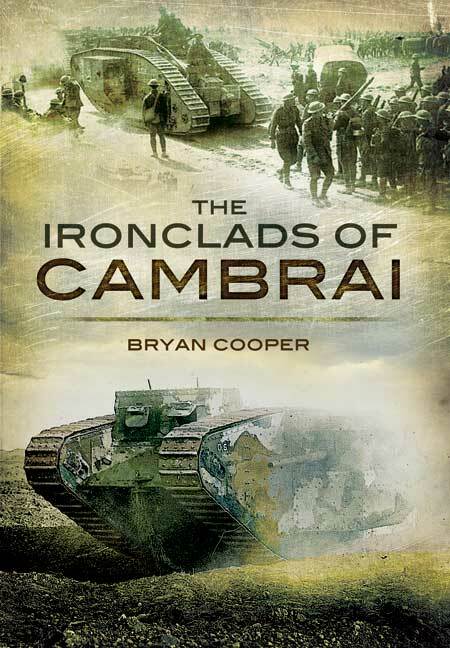 Bryan Cooper's work is fluent and to the point, and remains a good starting point for anyone wishing to learn about Cambrai, increasingly being seen as a turning point in British tactical development during the war. It is a readable account and good value. This is a nicely produced and welcome reprint.